On 6th December 2018, Project Management Day of Service (PMDOS) will be taking place in Manchester. Charities from across the UK attend to receive pro-bono consulting from a Consultant that has been hand-picked to based upon your requirements. We wanted you to find out a little more about some of the charities attending and their reasons why. Who does your charity help?Our charity offers support to young (16-25) LGBTQ+ people who have faced rejection from their families and find themselves either homeless or living in hostile environments. What is the core of the work that you do?We offer support to young LGBTQ+ people in the form of sheltered accommodation, mentoring, hosting, and training. Why are you attending PMDoS? I am attending the event as part of the Communications Team here at AKT. We often have to communicate difficult messages, and fundraising messages and it would be useful to learn from other organisation on how they deliver this kind of work effectively. What are you hoping to take away from the day? I’m hoping to leave with some practical advice from my peers on more effective work practice, how to maximise the impact of our messaging and perhaps make some professional contacts for potential future partnership/mentoring in my role. Who does your charity help? 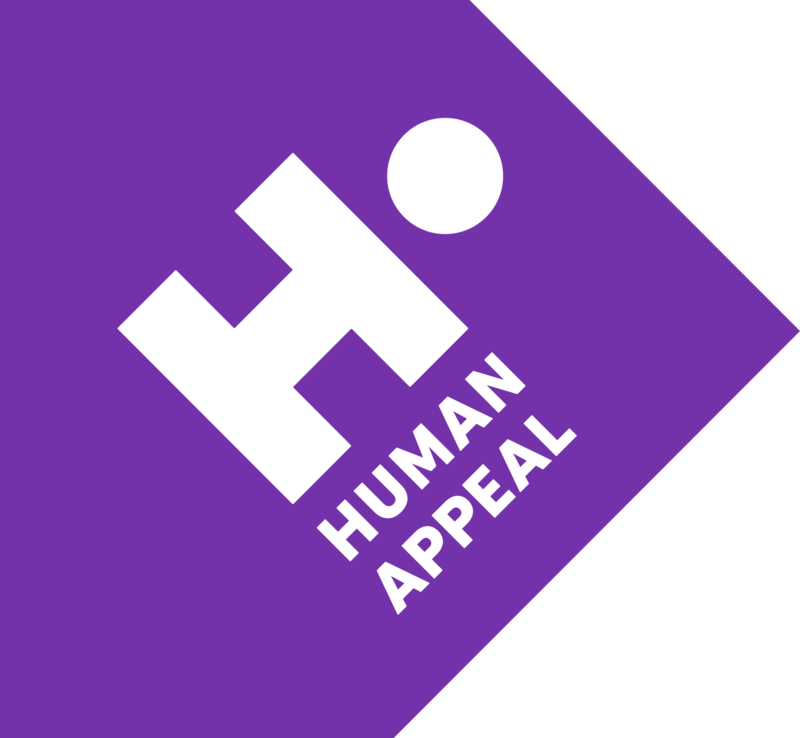 Human Appeal is working tirelessly in some of the poorest countries in the world to help people escape the hardships of poverty, conflict and natural disasters. With the help of our partners, we are able to help those in some of the most hard-to-reach places of the world. What is the core of the work that you do? As a humanitarian and development organisation, we implement projects across six themes. Emergency Relief (Food Aid/NFIs/Shelter/Protection) We provide humanitarian assistance and relief in the context of disasters, conflict and other emergencies. Livelihoods We assist in livelihoods development for rural, urban and displaced communities. Education We improve access to quality education for children in vulnerable, marginalised and displaced communities. Food Security We assist in the development of safe, sustainable and affordable food systems to increase food security long-term. WASH (Water, Sanitation & Hygiene) We improve access to clean water, sanitation and improve hygiene practices and awareness among vulnerable and displaced communities. Child Welfare & Orphans We provide a one-to-one sponsorship programme to improve child welfare, keeping child safeguarding central to our approach. Healthcare We support local health centres, hospitals and mobile clinics with medication, equipment and training for staff. We ensure access to healthcare for the most vulnerable people, particularly women and children. Why are you attending PMDoS? This is a great opportunity for raining and development of our staff which will hopefully have an impact across HQ in Manchester and our global operations. What is the core of the work that you do? The core of our work is limiting the damage cancer causes to young people, beyond their health. We do this through teams of social workers, based in hospitals, who provide emotional and practical support to young people and families; through financial grants to families to help them deal with the costs a cancer diagnosis brings; and through Homes from Home, places families can stay free of charge whilst their child is being treated. Why are you attending PMDoS? I (and my colleagues) are attending to find out more about managing larger projects, as we will be running a capital appeal in Manchester over the next few years, as we build a new Home from Home in the city. We will be running this project whilst still needing to continue to fund the work we currently run in the region. What are you hoping to take away from the day? I’m hoping to take away some useful practical advice on how to run larger projects, and advice on things like time management; where to look for funding and support; more generally, just advice on how to run a bigger appeal in a region where we’ve not done this kind of thing before. What is the core of the work that you do? We provide respite breaks at our 2 rural locations, one in the New Forest and the other in mid-Wales. We also provide outreach support to the children in their own communities through local play sessions and Play bus visits. Why are you attending PMDoS? As a small charity, we do not have the in-house expertise for some of the projects we need to take on to improve the way we work. We are looking forward to working with experts in their fields to help us plan the improvement of our IT systems and our move to a new database. What are you hoping to take away from the day? We are hoping to develop a plan for how to tackle our 2 upcoming projects and some guidance around potential pitfalls and aspects that we may not have considered. If you’re a Charity or Consultant that would like to get involved in the next Project Management Day of Service, please get in touch.